Gerontology refers to the study of physiological and psychological changes concomitant with old age, whereas geriatrics refers to the study of health problems and diseases prevalent in old age. Geriatric psychiatry otherwise known as psychogeriatrics, geropsychiatry or the psychiatry of old age corresponds to the study of age dependent psychogenic disorders. These mental disorders are usually accompanied with continuous sickness, gradual deterioration of physical health and the resultant socioeconomic burdens. Research advancements in the field of aging focus on the changes in the physiological, molecular and subcellular activities corresponding to increasing age while geriatric psychiatry focus on the identification of common mental disorders in old age and their treatment. 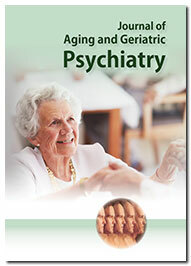 Journal of Aging and Geriatric Psychiatry is a peer reviewed journal that focusses on the publication of research developments in the field of gerontology and geriatrics. The journal strives for wide dissemination of recent scientific developments in the field of cellular aging, biochemical and physical changes associated with age, geriatric medicine and its impact on the elderly people. Journal of Aging and Geriatric Psychiatry emphasizes on the publication of innovations in the treatment of geriatric giants such as impaired memory, instability, immobility, loss of vision and hearing impairment. Journal of Aging and Geriatric Psychiatry also accepts manuscripts showcasing the progression of acute stages of delirium, depression and dementia in old persons and its resultant physiological and societal implications. The journal accepts manuscripts in the form of original research article, review article, short communication, case report, letter-to-the-Editor and Editorials. All the articles published are open access and are freely accessible online without any subscription charges. Submission and processing of the articles will be done through the Editorial Manager System in order to ensure quality of the peer review process and easy access to the authors to track the process of manuscript evaluation and publication in an automated way. All the submitted manuscripts undergo peer review done by the external subject matter experts under the aegis of the Editor-in-Chief or assigned Editorial committee member of the journal. Approval of at least two independent reviewers and the editor is mandatory for any manuscript to be considered for publication. The application for being an Editorial Board Member is open. If you wish to be a part of it then kindly forward your C.V. to the above mentioned E-mail id.